Cooperstown. This village in Otsego County, New York, is most widely known for being home to the National Baseball Hall of Fame and Museum. 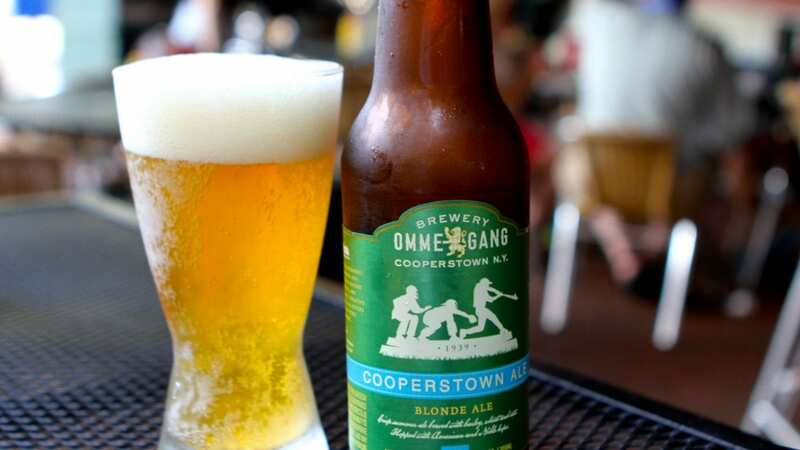 And while we Americans take pride in our baseball, Cooperstown is also home to something else we take pride in: craft drinking. 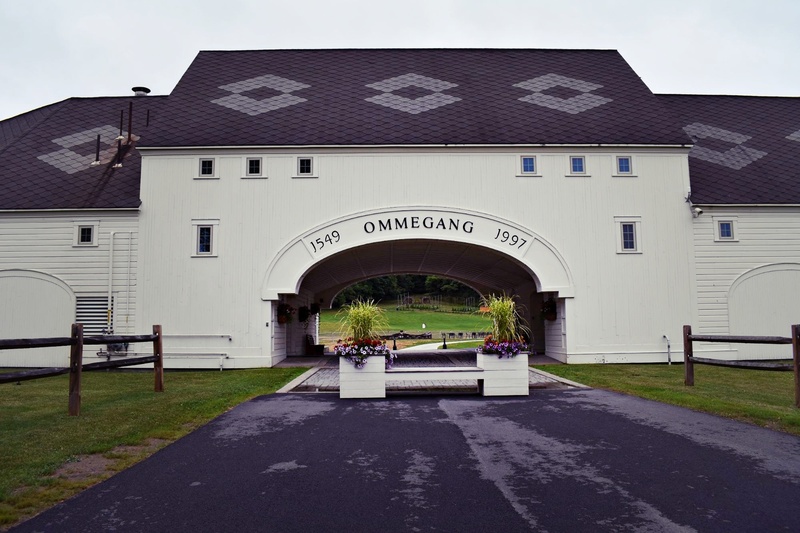 Though craft breweries, distilleries, and wineries have grown in popularity in recent years, Cooperstown’s roots in craft drinking can be traced back to the 20th century. During that time, Otsego County was producing some of the best hops in America, earning the area’s nickname at the time: Hop City. Hop production came to a halt with the blight of 1909 ravished the land, but the resurgence of craft breweries has brought the love of hop back to Cooperstown, so much so that you can even make a weekend out of it. Let’s begin with Ommegang Brewery, a familiar place to many when it comes to craft breweries in Upstate New York. Being an avid craft beer drinker myself, I’ve had more than a few of Ommegang’s noteworthy Belgian-style drafts, and am always looking forward to their seasonal releases. I was particularly excited to visit the brewery this June, as they recently unveiled a new look after months of renovations. The result is an expanded space both indoors and outdoors, and an updated, contemporary design with that same great Belgian flair. The brewery is truly a one-stop shop offering tours, tastings, and a full menu. The menu features Belgian classics such as sausage and sauerkraut, and chicken and waffles; exactly what we needed before our next stop. 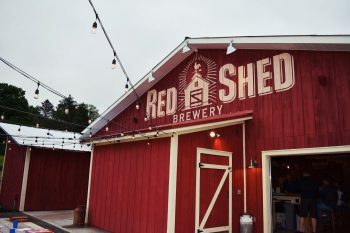 Our next stop was the Red Shed Brewery and Beer Garden, conveniently right down the road from Ommegang and the perfect summertime hangout spot to unwind, Red Shed began as a small tasting room, and has recently expanded into this second location equipped with a farm-to-table kitchen. At Red Shed, you won’t just find their own popular Otsego Golden Ale or Jessica’s Red Ale on tap but you’ll also find a rotating list of drafts from local farm brewers to fill your flight. With trivia on Thursdays, live music on Fridays and Saturdays, rotating food trucks, and fan favorite games like giant Jenga, this is the type of brewery that’ll make you want to stay a while. At just about 5 years old, Cooperstown Distillery has made quite the name for itself, and after a tour and tasting, you’ll understand why. Founder, Eugene Marra, formerly a restaurant consultant and teacher, began to develop an interest in distilling through experimenting with recipes while distilling his own bathtub gin for many years. Pairing his home distilling experience with distilling classes at Cornell, Eugene has a unique take on distilling, and tasting his arsenal of gin, vodka, whiskey, and bourbon will prove it. Take the “French Traders Gin” for example, a gin aged in barrels which creates almost a hybrid of gin and whiskey. I’ve never tasted anything like it. 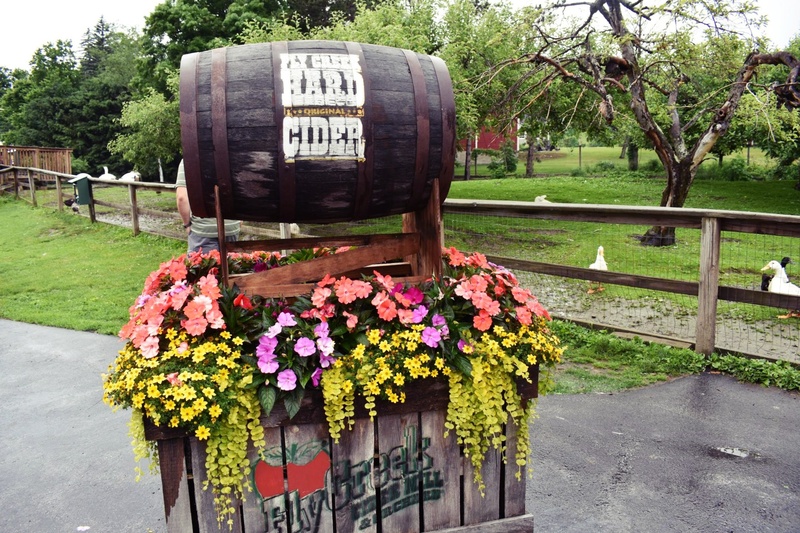 No, Fly Creek Cider Mill is not just for your fall cider and donut fix. Established in 1856, this mill began as a water-powered mill, and still is today! 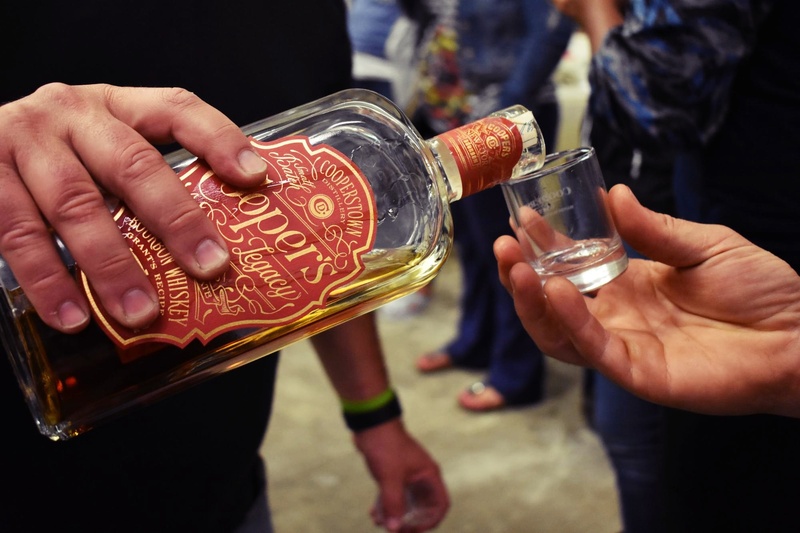 Break tradition and stop in this summer to taste a little bit of everything, whether it be apple wine, hard cider, gin, vodka, or whiskey, there’s something for everyone on your tour. Pair your Apple Pie Moonshine sample with a splash of chilled apple cider for a combination of flavors you won’t forget! Don’t miss out on the broad range of products available for sampling in the Marketplace such as salsas, cheese, dips, jams, donuts, and more! Pail Shop Vineyards was the last stop on our craft drinking tour. The laid back, open air tasting room, features a rotating gallery of local art, which is part of the uniqueness of Pail Shop. 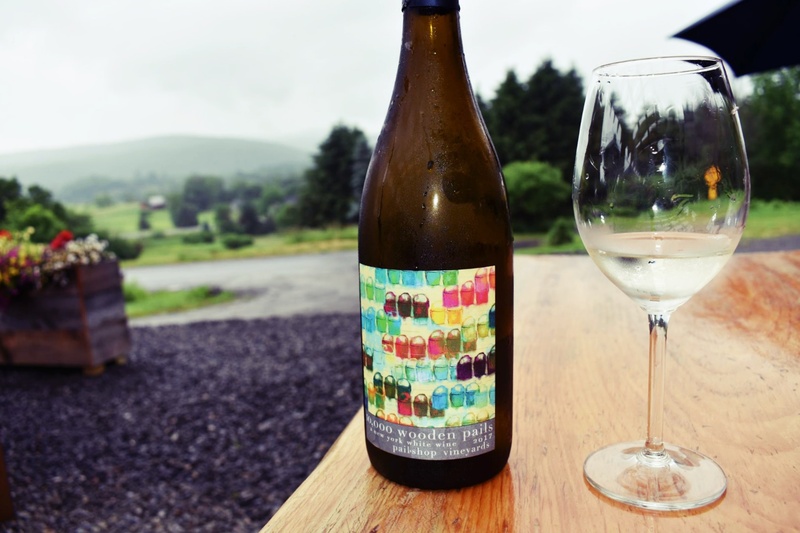 What truly sets this vineyard apart, are the locally grown grapes, which is no easy task for this region of New York. You don’t need to be a wine connoisseur to visit Pail Shop Vineyards, you just need to arrive with an open mind. Take me for an example, your typical cabernet kind of girl, finding myself leaving Pail Shop with three bottles of white wine to take home! Two of those being the truly distinct “10,000 Wooden Pails,” a white wine with flavors of honeysuckle, melon, and light citrusy notes. Not a wine drinker? Give Pail Shop a try, come in with an open mind, and you might just surprise yourself. 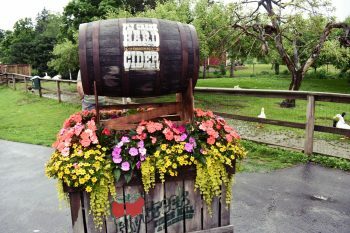 One of the oldest living history museums in the country, the Farmers Museum offers a “Hoppy Trails Tour,” an interactive walk through the history of hops production in the late 19th and 20th century Cooperstown. Walking through the hop yard with active hop plants, and touring the Bump Tavern takes you right back to what life was like during the years of Hop City at its prime. Though times has changed, we still crave the same thing: a well-made, ice cold beer. Make the most of your time at Farmers’ Museum, and visit the various structures throughout the village such as the pharmacy, blacksmithing shop, farm, and printmaking shop. Top it all off with a ride on the Empire State Carousel and a snack at the Crossroads Café. 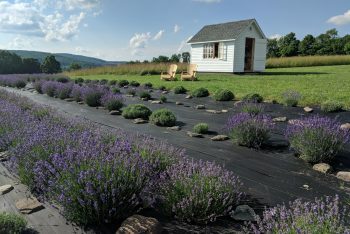 It’s not just hops that grow in Otsego County, lavender is flourishing in nearby Fly Creek. Visit Kingfisher Lavender Farm during the June-July lavender season to view all 11 varieties of lavender and roughly 1,500 plants ranging in color, and size, all grown naturally without herbicides or pesticides. Bring home that unbeatable lavender scent with you with a freshly cut lavender bunch, lavender oil or body butter, all available for sale at Kingfisher. 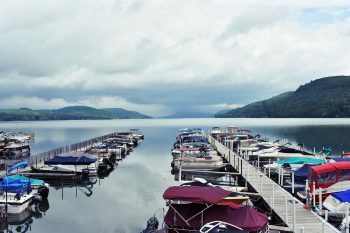 Check in at the Lake Front Hotel, located on beautiful Otsego Lake. Catch a boat tour in the morning and top it off with breakfast on the outdoor patio, all steps away from your room. Adirondack Trailways can get you there in 5.5 hours for $110 roundtrip. Once you’re there, the Lake Front Hotel and Cooperstown Distillery are within walking distance, and the Cooperstown Trolley will take you to the Farmers’ Museum, Brewery Ommegang, Pail Shop Winery, Fly Creek Cider Mill, and Red Shed Brewery. Be sure to catch a cab to visit the Kingfisher Lavender farm! You can always rent a car and explore, just don’t forget your designated driver! Header photo by Dan Gaken. All other photos by author. 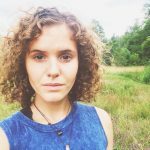 Regina Baker is an active long distance running and outdoor adventure enthusiast based in the Adirondack Mountains of Upstate New York. When she is not running, Regina spends her time making the most of what the great outdoors has to offer, whether it be open water swimming, cycling, skiing, hiking, skating, or kayaking.